The Emerald Garrison will be represented by a small 'Rogue Force' in Orlando, for the Ultimate Fan Experience... this years Star Wars Celebration. Celebrating the 40th Anniversary, over the next few days, the team will hopefully be posting details of the various events from the experiences of the opening day, seeing the likes of Mark Hamill, George Lucas and Anthony Daniels on stage, to anything unusual that our members might find interesting. 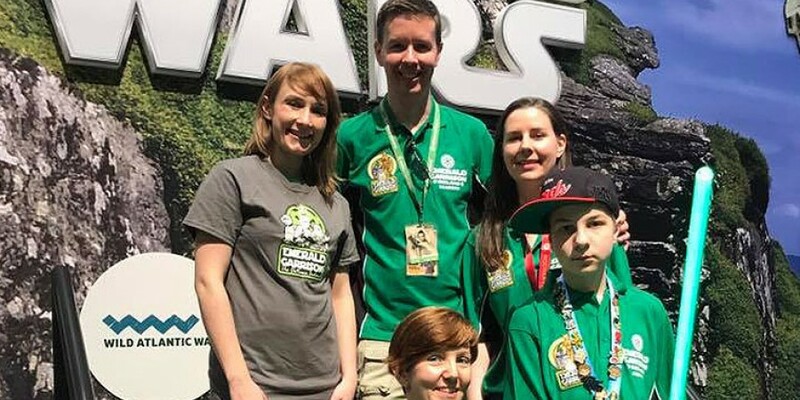 They'll also be paying a visit to the 'Tourism for Ireland' stand and meeting up with 'Visit Inishowen' who the Emerald Garrison have built a good relationship with over the past few months for the promotion of Ireland and Star Wars alike. Watch this space along with the Emerald Garrison Facebook page!